One of the worst things you can do for an interview is to arrive late. It doesn’t matter what crazy thing happened to you on the way, a hiring manager is not going to look kindly upon having to wait. With this in mind, you want to leave early enough to allow for flat tires, traffic, or anything else that could unexpectedly delay you. However, you don’t want arrive too early because that puts pressure on the hiring manager to rearrange their day to accommodate you. The secret is to leave early enough to allow yourself more than enough time to get there, then find a local coffee shop where you can relax, go over your notes and wait until you can arrive exactly five to 10 minutes early. Just be sure you are careful and avoid anything that could spill, stain or cause physical discomfort that will distract you during interview. When you arrive at your interview five to 10 minutes early avoid the temptation to bring out your cellphone and read the latest Facebook gossip. You want to look focused and ready to go for your interview, not entangled in something on your phone. In fact, turn your phone off before you walk in the door, so you don’t have to worry about it ringing or buzzing during your interview. It’s not just the hiring manager that you are trying to impress. It is anyone you come in contact with during your visit. Everyone that you talk to needs to be treated with respect, especially the receptionist. 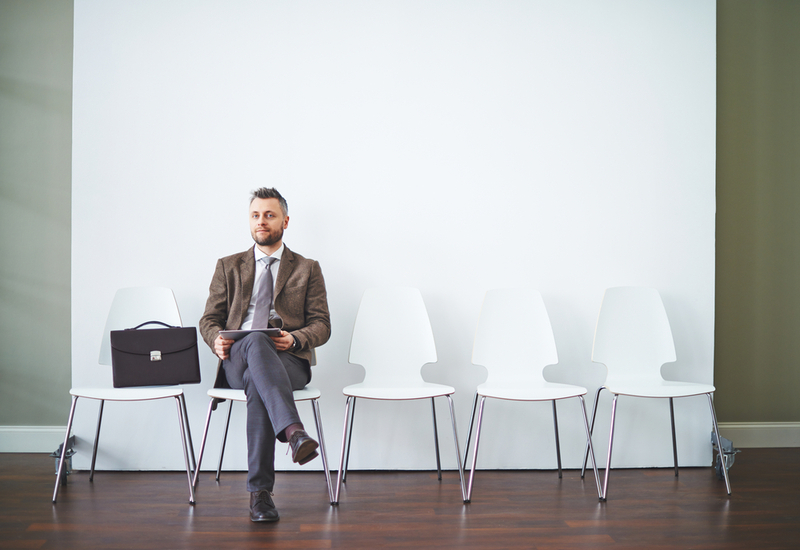 Hiring managers will typically ask receptionists their impression of a candidate. If you don’t smile, say thank you, and just generally be a respectful, nice person, it will come back to those who make the decisions. Even if you do stop in to get a coffee before your interview, keep it in the car. Don’t bring any food, coffee, or other beverages in with you for your interview (even if it is just to throw it out). You want to look neat and focused when you are waiting. You can accept a glass or bottle of water, if they offer, but remember to drink it slowly and don’t spill.